Attorney David K. Jaffe had devoted most of his practice to plaintiff's trial work, emphasizing civil rights and police misconduct cases throughout the state, medical malpractice, employment law, personal injury, and criminal law. He was a partner with the law office of Brown, Paindiris & Scott, LLP until late 2017, when he became of counsel. 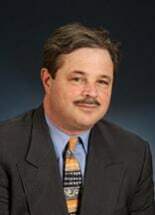 Attorney Jaffe was admitted to practice in Connecticut and was the former Chairperson of the Executive Committee of the Human Rights and Responsibilities Section of the Connecticut Bar Association. He was also a former member of the Criminal Justice Section of the Connecticut Bar Association. Attorney Jaffe was also a member of the Connecticut Trial Lawyers Association. He served as the Treasurer of the Connecticut Civil Liberties Union and was a former adjunct Professor at the University of Connecticut. Attorney Jaffe was formerly a member of the Zoning Board of Appeals, Board of Selectmen and Commission on Human Rights in West Hartford, where he grew up, and has always been active in local and national political causes. David K. Jaffe passed away on April 18, 2018, surrounded by his friends and family after a sudden illness. Attorney Jaffe was a graduate of the Wharton School at the University of Pennsylvania and the University of Connecticut School of Law.